Personas sind ein wichtiges Instrument in der menschzentrierten Entwicklung – allerdings kein einfaches. Nicht alle werden erfolgreich eingesetzt und verschwinden viel zu häufig in irgendwelchen Schubladen (das müssen leider auch wir bei eresult ab und an bei unseren Kunden feststellen). Aber auch neue (im ersten Blick agilere, im zweiten jedoch nicht immer bessere) Trends lösen Personas ab und an ab (Jobs to be Done, Empathy Maps & Co.). Ich freue mich, dass wir hier im Usabilityblog einen Artikel von Sophie von PeakXD Australien veröffentlichen können. Der Artikel auf Englisch gibt nämlich einen perfekten Überblick, wie man Personas erfolgreich im Unternehmen nutzt und lebt. Wer das Thema Personas noch vertiefen möchte, dem lege ich außerdem das Whitepaper meiner Kollegin Joanna Oeding ans Herz. Und nun viel Spaß beim Lesen des Artikels „Moving away from persona templates: 8 traps and tips to make your personas work“. You might have talked about creating personas in your project team or in your organisation – but in the persona craze, you don’t realise that you have different expectations about what they should include and how they should be used. Marketing want to use them for campaign planning, designers want them to create new features, while content creators want to know who they are writing for. Ensure you agree on what type of persona you will create, what methods you will use for research and how you will use them. For different persona types see Kat Hardisty’s UX New Zealand presentation. 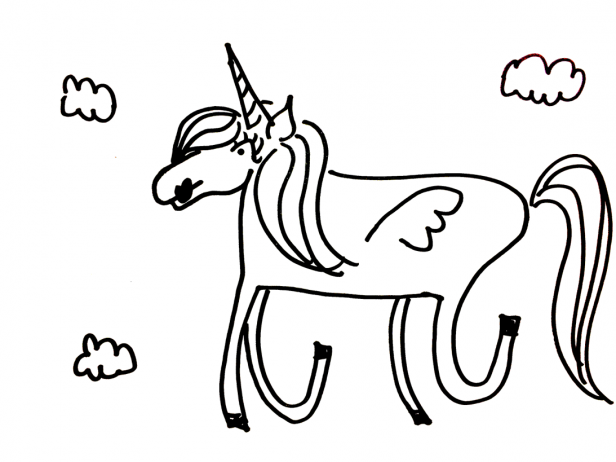 It would be great if personas were unicorns. If only they could answer all the research questions about your users. The sad fact is… they can’t. They are great for giving a snapshot of your users – and their overall attitudes, motivations and problem space. But they can’t give insights into customer experiences over time, behaviour change or their practical use of a product or service. Empathy maps – What does your persona say, think, feel and do in regards to your product/service? Customer journey maps – how does your persona experience a product/service over time? Forces diagram – what drives your persona to buy/switch to a new product? 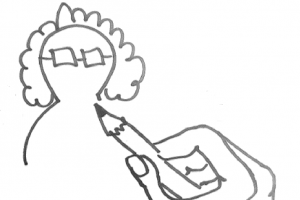 Scenario and storyboarding – how will your persona likely use your product service? 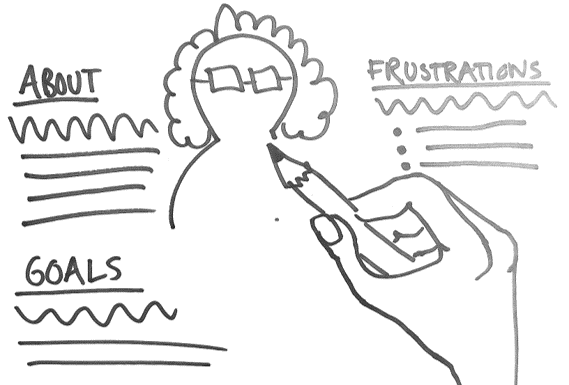 User stories – what features does your persona need? We’ve all been there: having picture perfect personas that took some UX person a huge amount of time to produce but no specific plan of putting them to use. The trouble is: seeing customers like stickers on the wall or life-sized cardboard figures doesn’t really make your products or services more customer centric. 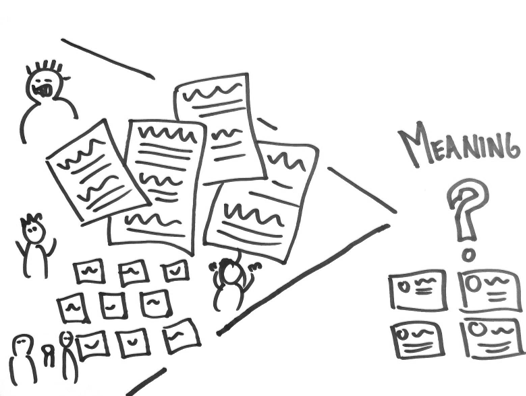 In workshops or co-design sessions with stakeholders – because it’s a fast way to share insights about your users and helps client stakeholders understand user goals. 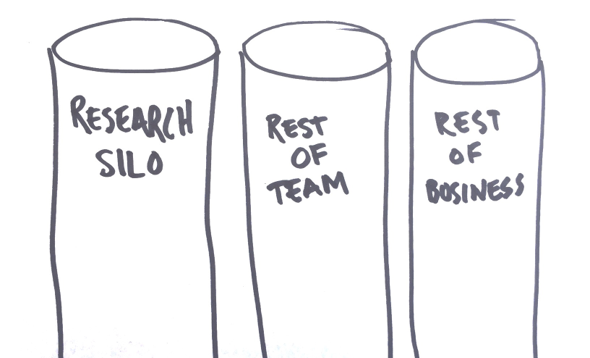 To hypothesise who our customers are that we need to focus our research on. 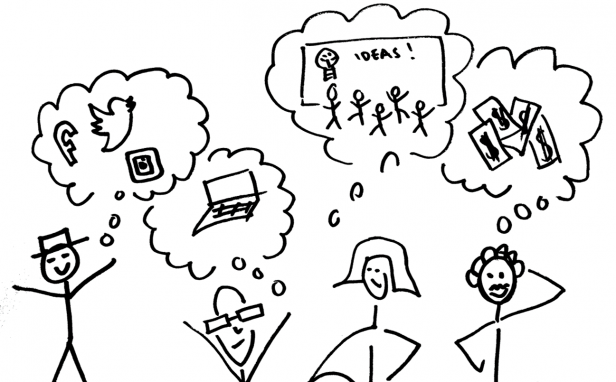 To write scenarios for design inspiration and tasks for usability testing. When writing up user stories – to specify which type of user would benefit from each feature/content piece. Ideally, you know what you will be using personas for before you even build them. The more specific and relevant to the project, the better the results! Remember that personas are only as good as the research that goes into creating them. Therefore they shouldn’t be hypothetical. Don’t be tempted by the many ready-made, well designed pretty persona templates with fixed headings that can’t be altered. Value starts with a good research approach, so instead of using a set template, start with considering which customer insights you need for your specific project. What kind of user knowledge will help you understand their relation and use of your product or service, e.g. if designing a transport app, the customer’s commuting routine would be worth looking into. Below is our master persona template guide that we have created with possible elements you might want to understand. You can build your interview guide based on these, thereby making sure you cover these aspects in your conversations with users. Include only the relevant headings or themes for your projects. Creating personas is a learning process, where you try to get under the skin of your users and learn about their attitudes, reasoning, motivations and excitement – trying to get those deep insights. You can’t do that from your desk. Contextual interviews and ethnographic observations will provide much deeper insights than surveys or focus groups, especially in relation to motivation and behaviors. 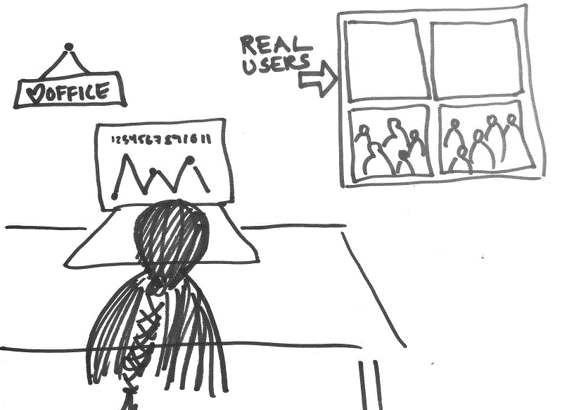 So don’t be afraid to get away from the numbers on the screen and instead go talk to real users. 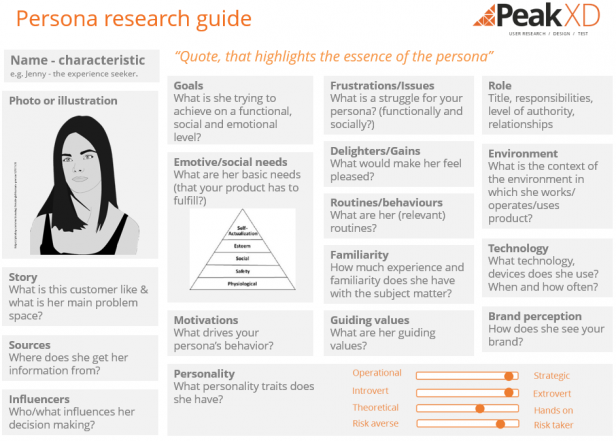 It can be overwhelming having lots of qualitative research data – sometimes so much that you might start to focus on the simpler aspects of persona creation such as demographics, pictures and format of the persona poster which may not help create empathy for your customers. It starts with a good data analysis plan. Start bottom up: Pull out findings from each interview/observation related to the elements you have decided to uncover. A table in a spreadsheet with themes in columns and participants down the rows will do. If you see 2-3 differences, e.g. in attitudes, drivers, goals, then start making 3 personas – you can always split into more later on. Don’t base it on role, age or demographics! Work top down: recall your research experiences – do the personas reflect what you have learned in the field? Write them up in bullet points before you start making them come to life by storytelling and with quotes from your actual research. You need to be the scientist and the storyteller in this process. 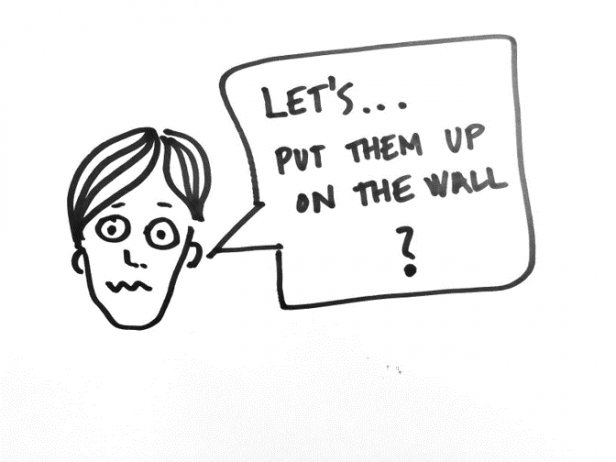 Do you have personas lurking around that someone created but are rarely used? If the organisation you’re creating the personas for or the project team is not involved in this learning process, they will not be able to leverage or share the customer insights. This can be anything from project team members listening in on an interview, communicate insights to the project team as they arise or even better, involving the team in the research and analysis. The more you let the organisation be part of and give feedback during the process, the better the chance that the personas will be actively used to improve business outcomes. This process will also help business stakeholders build empathy with your users so they can see their point of view. 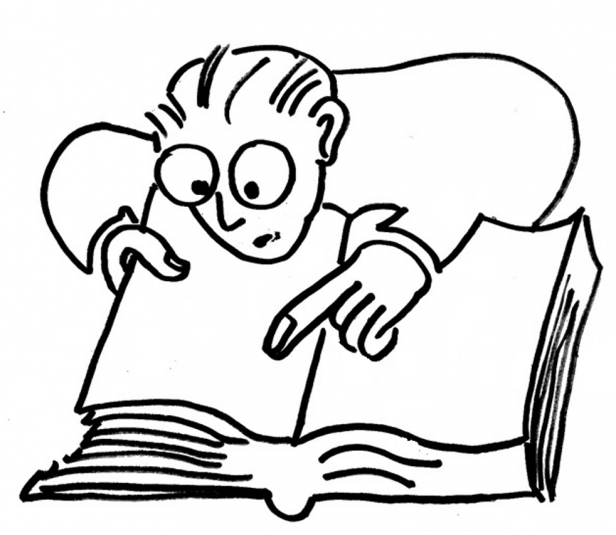 Personas, like parables and fables, are figurative artefacts, stories about a type of user. Whilst meant to be representative of the users you have researched, they are not meant to be taken as gospel. Doing so can lead to dangerous assumptions about your users. There should be enough detail in them to help them come alive, but when you use them, try to focus on the idea they are conveying (such as being unfamiliar with a system) rather than their specific demographic (such as being from Japan, being 27 years old). Make sure the whole team understands that they need to see the bigger picture when you use this artefact in you design process. This article has been adapted from a presentation delivered by Sophie Schmidt at the Peak eXperience Design event. You might also view the Youtube video presentation or her Slideshare presentation slides. „to focus on the idea they are conveying rather than their specific demographic (such as being from Japan, being 27 years old)“ – that’s the most important sentence here and points out the real problem: personas try to solve a very abstract thing with beeing literal. Although I do make personas, I secretly always have an audience in mind – like this is my sales pitch to a group of under thirty techpeople, mostly international. So i guess, what personas are really for, is to make the target audience a little less abstract.